Is there a tougher and more unforgiving league than the English Championship? Forty six league games long. A number of teams benefitting from Premier League parachute payments, plus the motivation of every team to aim for the promised land of Merry Go Round the Premier League. At the halfway stage of the season eight clubs have made managerial changes, with one, Rotherham United already onto their third manager. With most teams facing a couple of league games in the next few days, ahead of the FA Cup 3rd round and with the January transfer window about to open, there will be a few managers feeling the pressure. But have the eight Championship clubs who changed managers made the right decision? SportsMatrix has looked at the data which shows that for a couple of clubs the change has had a very positive impact, whilst for most of the others the jury is still out or the decision looks to have had no positive benefit. Derby County’s decision to bring back Steve McClaren has proved to be a master stroke. 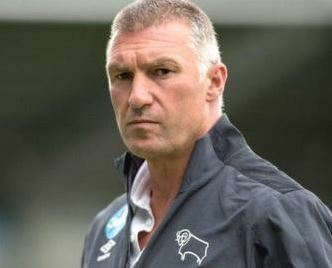 When Nigel Pearson was replaced in early October the Rams were floundering in 20th place and averaging less than a point a game. Twelve game later Derby County find themselves on the edge of the play-off zone and with the best points per game ratio in that period of any Championship club apart from high flying Brighton and Hove Albion. Aston Villa are the other team to benefit from bringing in a manager with Championship experience. Roberto Di Matteo may be a Champions League winner, but Championship survival is far tougher, but with Bruce at the helm, Villa are averaging two points a game and look more than capable of challenging for a play-off place. There has been a slow but definite improvement in Cardiff City’s form since Neil Warnock replaced Paul Trollope in early October; but whilst the Bluebirds sit only four points above the relegation zone, their points per game ratio shows that they are moving in the right direction. 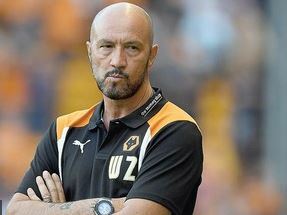 Paul Lambert replaced Walter Zenga at Wolverhampton Wanderers at the end of October, but after no win in his first four games, Wolves have since lost only once in five game, climbing three places, although they still remain closer to the relegation than play-off positions. The new manager bounce was short lived for Ian Holloway at Queens Park Rangers and after winning his first game his team has suffered six consecutive defeats, conceding 11 times and scoring once, with the Hoops now hovering above the relegation zone. After guiding Wigan Athletic to promotion from League 1 last season, Gary Caldwell was given 14 games before being sacked with his team averaging 0.79 points per game. After nine games in charge new manager Warren Joyce has fared no better, averaging an almost identical 0.78 points per game. Caretaker manager Paul Warner is averaging over a point a game after five games in charge of Rotherham United, a significant improvement over both Alan Stubbs and Kenny Jacket who together picked up a feeble seven points in 18 games; but with the Yorkshire club rooted firmly to the bottom of the league, their chances of remaining in the Championship look slim. Birmingham City led West Midlands rivals Aston Villa by six points and five places when Gary Rowett was sacked in mid-December; two games later the teams are level on points, with Villa ahead on goal difference. 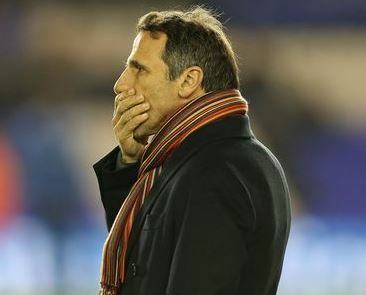 Gianfranco Zola’s first two games in charge have seen his new team lose narrowly against the league’s most in-form clubs, but whilst it is too early to reach any conclusions, it’s not unreasonable to suggest that replacing a successful manager, with one with a questionable managerial record, defies footballing logic.